Back to Back 50s! On TV too! The Fish Finders TV show hosts Alan and Bill and I headed out one more time on the O this week to finish our shoot. 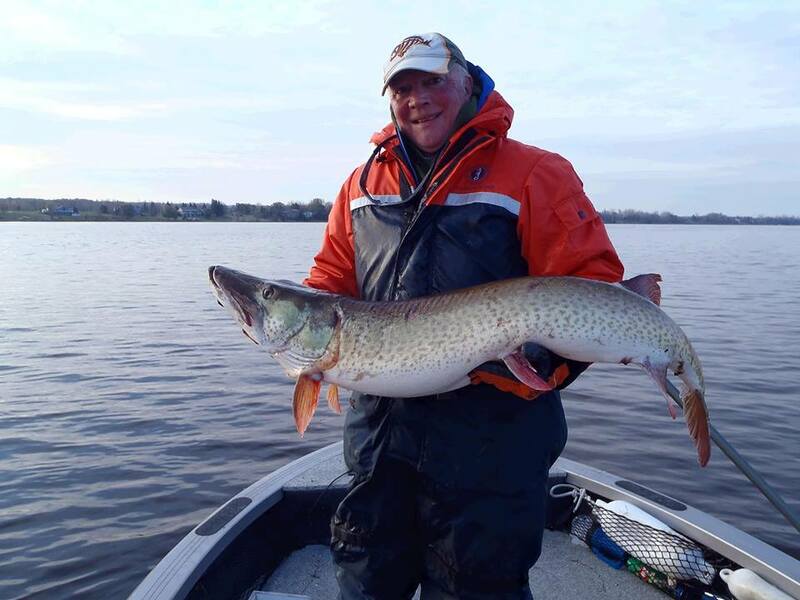 In my previous post I steered you to the WFN (www.worldfishingnetwork.com) homepage and the article called ‘Last Cast Musky’. It was about catching a 50-inch fish on the very last cast of the day. There will be a follow up article now called ‘First Cast Musky’. I was sharing my Crestliner with ‘musky guru’ Wally Robins. On the 5th cast of the morning Wally hooked into a very very rare and beautiful Ottawa River Spotty. This is the rarest of the colour patterns in this part of the musky world. The Ottawa River is unique in that it houses all the colour patterns of muskies – barred, clear, spotted, and tigers. What a gorgeous and special fish this is. This TV shoot will go to air in just a couple of weeks and we will fire off the date to you as soon as it is known. There are still lots of trophies left to come into the boat and I have some dates left if you didn’t catch your 2013 trophy yet.